"Details of the Recommendation: "Greg was fantastic to work with. 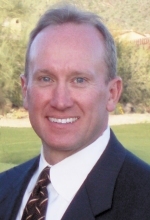 He is..."
""I have worked with Greg on four real estate transactions since 2005...."
Specialize in Residential Real Estate- Phoenix, Scottsdale, Paradise Valley and the surrounding areas. Licensed since 1992. I will provide honest, reliable real estate service to all of my clients and help make the home buying/selling experience a positive one. I strive on building relationships with my clients that will last a lifetime. I am there to assist you throughout the transaction and anytime after the Close of Escrow. Hobbies: Hiking, Snow Skiing, Weight Lifting. I'm a Huge College Football Fan, but also an all around Sports Fan.